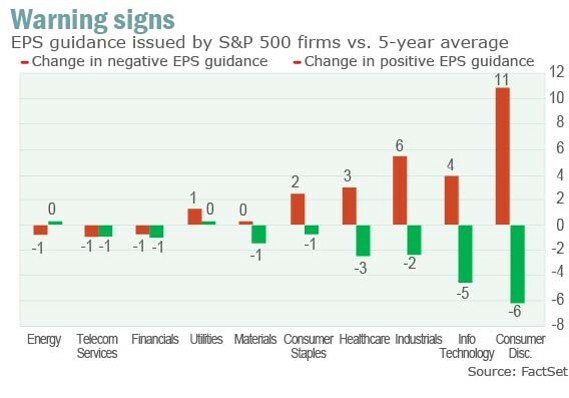 But sluggish earnings growth over the past three years hasn’t held back stocks. 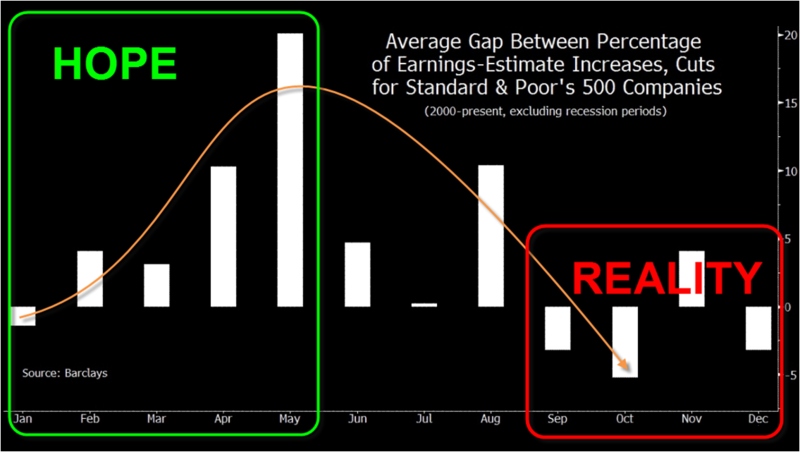 Earnings outlook is holding around its most pessimistic levels ever. 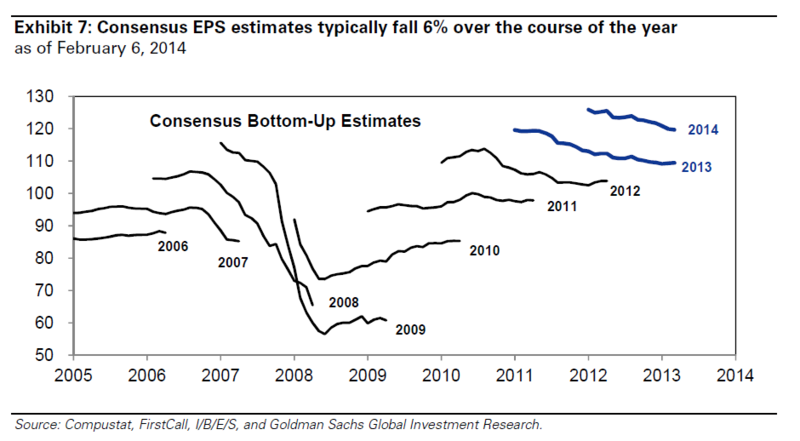 Executives love to low-ball estimates. 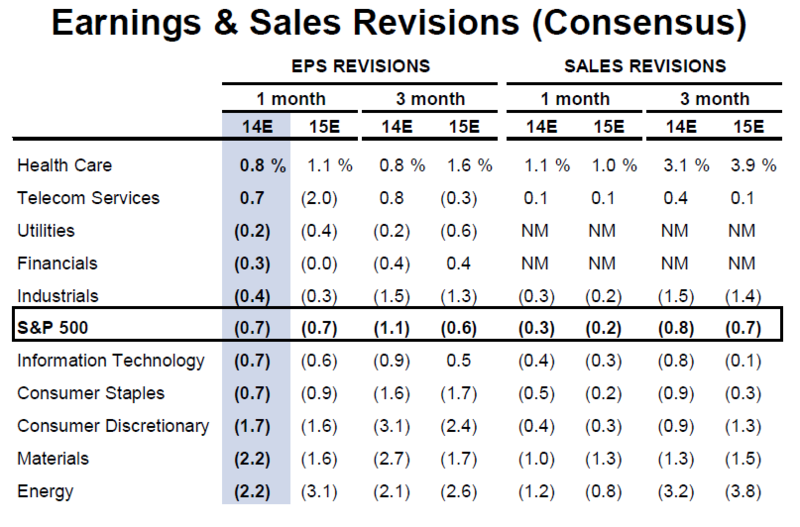 They are going to great lengths to underpromise and manage expectations so they can deliver and beat consensus expectations. 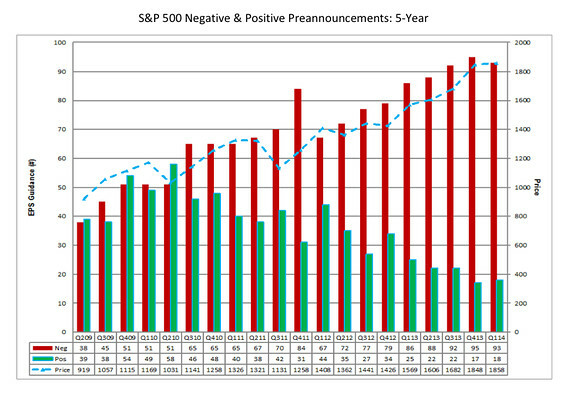 And this is probably wise since the market is pretty focused on ‘the beat-rate”. Despite the negative outlook the market has reacted positively. 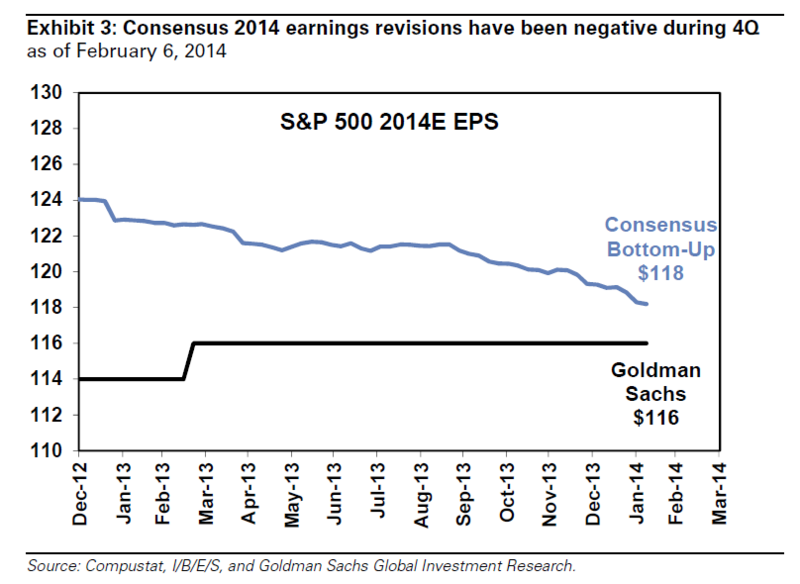 Much is expected from corporate profit margins. 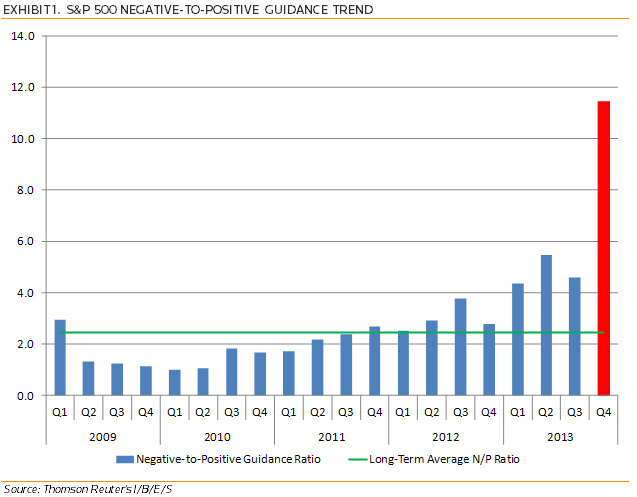 It should be remembered that not all companies provide forward earnings guidance. 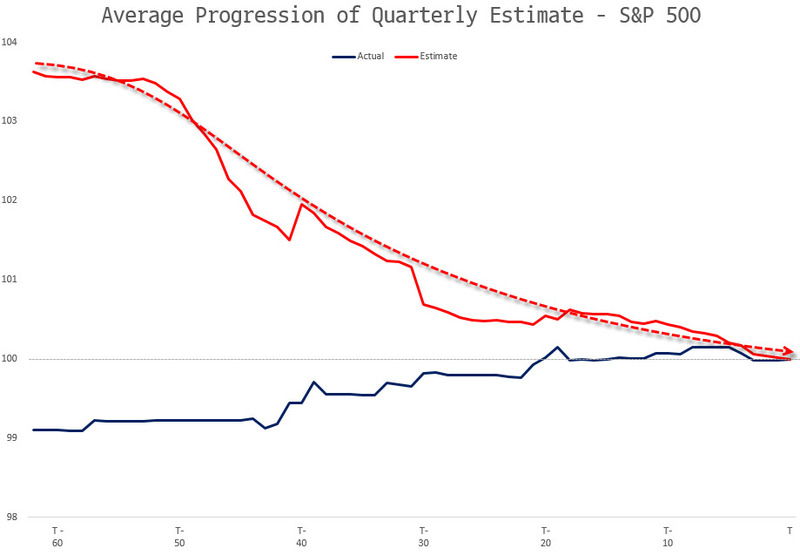 There is also no indication or level of how big the divergence is when being compared to earlier guidance. 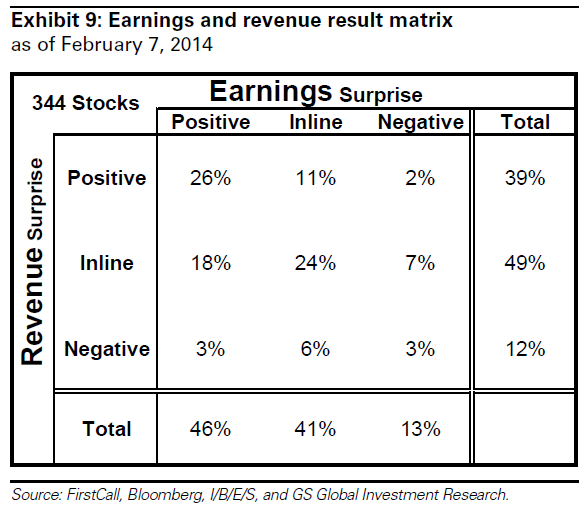 At the same time, analysts are currently expecting double digit growth for 2014 earnings.